Touted as a "comedic slam dunk", Champions will open the 2019 Spanish Film Festival. 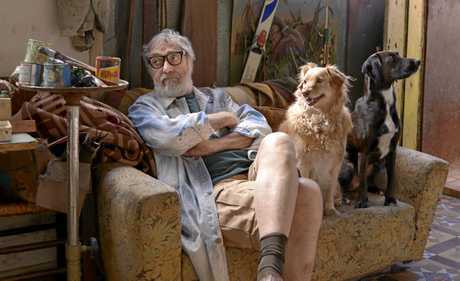 THE critically-acclaimed and feel-good film Champions, which has smashed box office records in Spain, will open the 2019 Spanish Film Festival. 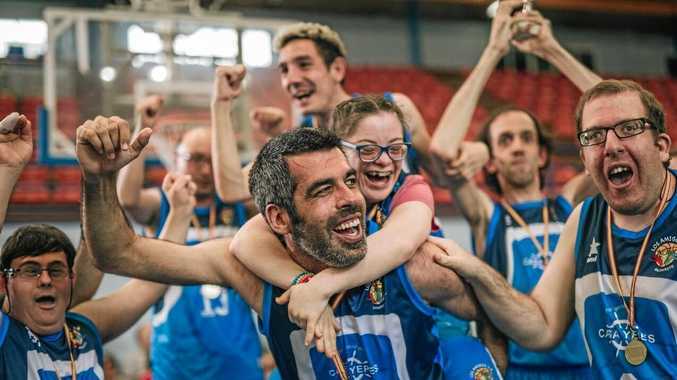 Directed by Javier Fesser and starring Javier Gutiérrez, Champions (Campeones) tells the story of an ambitious and arrogant basketball coach forced to train a team of people with disabilities. It was awarded the Best Film accolade at the Goya Awards, Spain's equivalent of the Oscars. The Spanish Film Festival presented by Palace welcomes Moro Olive Oil as principal partner for the national festival, which celebrates cinema from Spain and Latin America. The 22nd edition of the Spanish festival will be further enriched by the Cine Latino Film Festival sidebar, formerly a separate event in November. A curated program of 32 films will screen nationally from April 16, exclusively at Palace Cinemas. The festival will also include special presentations and events, innovative documentaries, and a spotlight on female directors. It will close with a digital restoration of the firecracker comedy Women on the Verge of a Nervous Breakdown (Mujeres al borde de un ataque de nervios), directed by leading Spanish auteur Pedro Almodóvar, to celebrate the film's 30th anniversary. Screening as a special presentation, The Realm (El reino) features acting heavyweight Antonio de la Torre, who is reunited with director Rodrigo Sorogoyen (May God Save Us, SFF17), for an award-winning political thriller. Bringing the best of Spanish cinema to the festival is the New Spanish Cinema program including Koldo Serra's third feature 70 Big Ones (70 Binladens), featuring barrel loads of intrigue, suspense and action with a perfect peppering of black humour. The program also includes the debut feature Love Beats (La banda), Roberto Buseo's rollercoaster tale of heartbreak and joy starring newcomer Gonzálo Fernández and Spanish-British actor/model Charlotte Vega. Two documentaries will screen: Peret: The King of the Gypsy Rumba (Peret, yo soy la rumba), Paloma Zapata's portrait of Pere Pubill Calaf, whose flamenco career spanned six decades; and Virgin and Extra: Jaen, the Land of the Olive Oil (Jaén, virgen y extra), a film revelling in the hidden beauty of one of Spain's lesser-known provinces with a delectable tale about olive oil from Goya-Award-winning director José Luis López-Linares. Petra is an absorbing portrait of a young painter who travels to the Catalan countryside after the death of her mother. Highlights from the Cine Latino program, featuring the best new films from Mexico, Central and South America, include: Common Blood (La misma sangre) - Miguel Cohan's wicked Argentinian thriller, featuring powerhouse performances by Latin American titans Óscar Martínez (Distinguished Citizen, 2016) and Paulina García (Gloria, 2013); and Looking for a Boyfriend ... for my Wife (Se busca novio... para mi mujer) - a heartfelt new comedy which reunites the director and cast of the Chilean version of the hit sitcom Married with Children, a man in a matrimonial crisis cooks up a foolish scheme to trick his wife into wanting to separate. As part of its spotlight on female directors, the Moro Spanish Film Festival will also feature 11 films directed by women - from established directors such as Icíar Bollaín and Gracia Querejeta to fresh new voices including Lila Avilés. Sydney Apr 16 - May 8: Palace Norton Street, Palace Verona & Palace Central. Canberra Apr 17 - May 8: Palace Electric Cinema. Melbourne Apr 18 - May 8: The Astor Theatre, Palace Cinema Como, Palace Brighton Bay, Palace Westgarth, The Kino and Palace Balwyn. Adelaide Apr 23 - May 15: Palace Nova Eastend Cinemas & Palace Nova Prospect Cinemas. Perth Apr 24 - May 15: Palace Cinema Paradiso. Brisbane Apr 24 - May 15: Palace James Street and Palace Barracks. Hobart May 2 - 8: State Cinema. Tickets are on sale now via www.spanishfilmfestival.com.